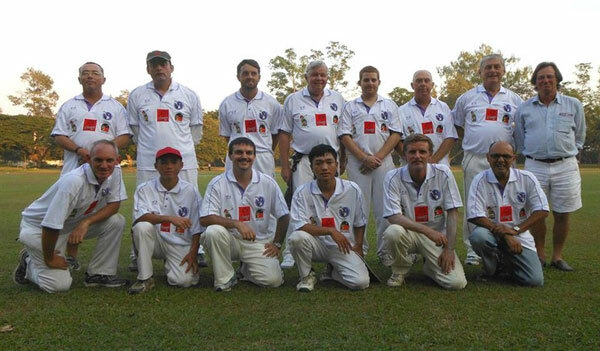 CMLCC is a newly formed cricket club aimed at providing friendly but competitive cricket in the beautiful surroundings of Gymkhana Club in Chiang Mai. The team takes part in the Chiang Mai Senior League and plays a number of friendlies throughout the season. Keen cricketers can also play in matches against touring teams from Hong Kong, Malaysia, Singapore and across Thailand. The club is active in its support for youth cricket, particularly in sponsoring Lanna Juniors who will also be playing in the Chiang Mai Senior League. Net sessions are held at Gymkhana Club every Wednesday and Friday at 4.00pm. All cricketers are welcome at the nets regardless of age and ability, even if you are in town for just a short time. CMLCC membership for the 2018/19 season is ฿1000 (฿500 for under-25s). Members may purchase a club shirt and/or cap for ฿400 each. Match day fees range from ฿300–500 depending on the type of fixture. Refreshments are provided for all Senior League matches. Paid-up CMLCC members are eligible to represent Gymkhana Club in home and away fixtures. For all membership enquiries, please phone our chairman Tom Salusbury on 087 411 4406 or email [email protected]. The CMLCC Senior Team in one of its first outings during the 2012/13 season.